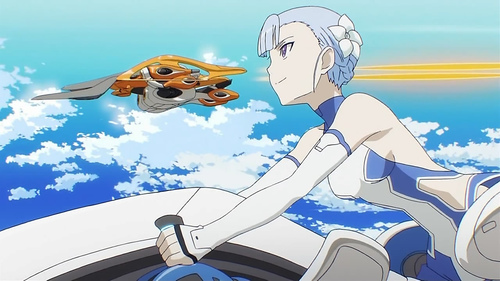 Everyone I’ve spoken to or read has said Rinne no Lagrange was underwhelming. As a science fiction fan though, I’m fascinated by these flying mecha contraptions. What are they? How do they work? Their designs almost have a 1980s anime quality to them, at least from the screencaps and art of them I’ve seen. If I ever find out, it’ll be a while from now. The Ruben Kyoto Animation Law is still in full effect, meaning I have to watch the rest of Hyouka, Chuunibyou and start Tamako Market. I wish I had a choice in these matters, but I don’t, you see.